Rhys why are you using that silly voice? Jeffery just broke the decking! Maccas at the end of the year! Mrs foggo owns jeffrey by saying "Hey jeff its mum!" I'll Kick you in the nuts Ms lee! terms 3-4: Uno in form assembly. You guys are hijacking the class with those uno cards!! The tripping people over duo. Michaels leg operation and Lisa being mean and teasing him. Bear stealing Georges seat and playing halo! The mac man stands on tables and kicks chairs! The outsiders...With never before heard Mr mac chapters and random plot lines added. Dont take me on about the anzacs.I'll win hands down! Hurrah the forums are up! Bear man patroling swimming. No one gets past when hes on watch...Although Anthony stole his chair. What about the Uno days at form assemblys? 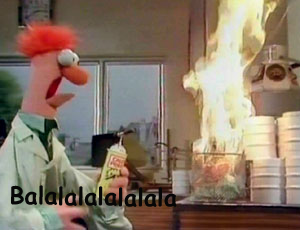 When anthony let off the fire extinquiser? All the Mr. Bare jokes? What people where like in year 7? When Mr. Reiner told Rhys to stop talking in that funny voice, when in fact it was his normal voice. When Rhys and Co. made Mr. Alexander trip over. Belal kicking the soccer ball into the window, without smashing it completely. That's all I have for now..
P.S. Can anyone see my siggy yet ? ._. what about when jake tried to kill himself. What do you guys think of the first post so far? ooo don't forget all the funny mr. bare quotes!!!!! immm the jake fights. the trip people over thingo yeah 8 camp? Did someone acknowledge Jakes attempted suicide? Or Jake VS Anthony is the sewing room?